The crack of the bat. The smell of glove leather. Enormous American flags. Cracker Jacks. 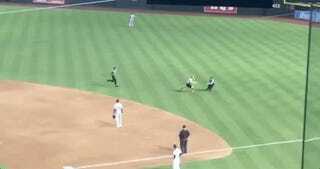 An idiot on the field, sprinting half-clothed through Arizona’s outfield. Baseball is back!